A winter storm watch has been issued for the San Diego Mountains for snow at lower elevations beginning Monday, according to the National Weather Service (NWS). Two storms are expected to hit the region, bringing rainfall to San Diego’s inland and coastal areas, and dangerous conditions in the local mountains. The first storm is forecast Monday, and a more powerful one Tuesday is forecast to bring significant snowfall and strong winds, with “near blizzard conditions,” in the local mountains, according to the NWS. Cold air will move into SoCal from the north, especially Tuesday through Tuesday night with temperatures falling below zero in some areas. Snow levels are projected to fall from 5,500-6,000 feet on Monday down to 2,500-3,000 feet by Tuesday night. 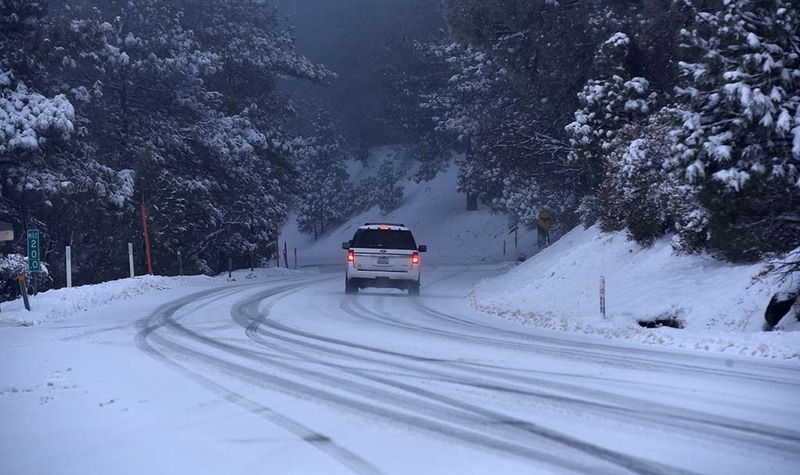 Significant snowfall will pummel the San Bernardino and Riverside County mountains, where 1-2 feet of snow is forecast above 6,000 feet in the San Bernardinos and more than 3 feet possible above 7,000 feet, according to the NWS. For the San Diego County mountains, significant snowfall is also possible but not until Tuesday when very cold air invades from the north, the agency reported. Mountains will see daytime highs in the 20s and 30s. Wind chills could bring mountain temperatures down into the single digits and teens over the next couple nights, and below zero by Tuesday night at elevations above 5,000 feet, according to the NWS. A break in the action will occur Wednesday through Friday, however another cold trough is forecast for the area next weekend, possibly delivering more precipitation, according to the NWS.